Go check the official lineup! Among our personal favorites, we are absolutely thrilled to share that the magical Gail Carson Levine will once again be treating us to a live event! And equally exciting, we’re being joined by another queen in the world of MG and YA fantasy… Tamora Pierce herself! But even though these two fabulous ladies are big names, our entire line-up promises to be amazing — from NYT Bestsellers (like Beth Revis and Pintip Dunn) to on-the-rise talent (like Sally J. Pla and Melanie Conklin) to 2019 debuts who are already making waves (like Kosoko Jackson and Joan He), this year’s conference is taking us to a whole new level. As a reminder, the conference will take place from February 8-10, 2019, so mark your calendars! There’s still time to register for admission if you haven’t already. 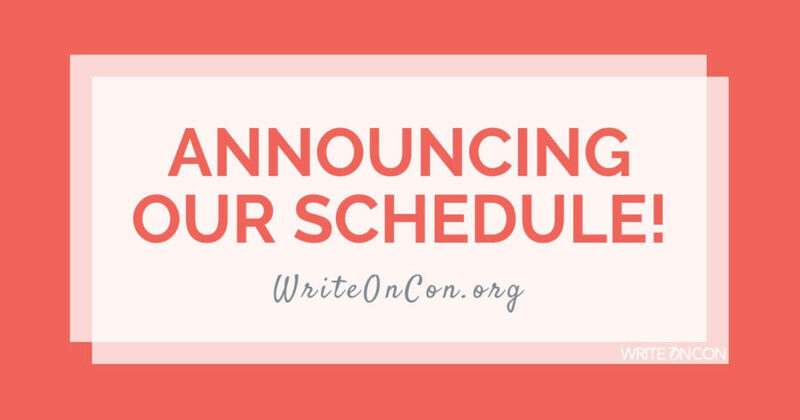 As we get closer to the big weekend, please share this post on social media and tell your writing partners about the conference. We can’t wait to see you all there! What event are you most excited about? Let us know in the comments! So excited that Tamora Pierce is contributing! A legend. I loved Tortall series.